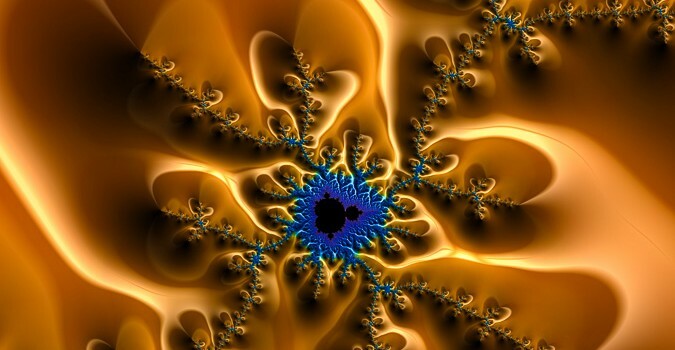 Mmmmh Fractal Candy – yummy! Luxe and glossy abstract fractal art, beautiful golden and brown tones, blue and black mandelbrot set in the center: Read what others wrote about this work: Like flowers crossing a desert, seen from above – Bragi Halldorsson Delicious and delightful! Another video for your viewing pleasure, animated spiral with changing colors – click “Read more” above to enjoy the animation! There are these days. Dull, gray and rainy. You don’t want to go outside. You need someting colorful. Something wild and crazy.